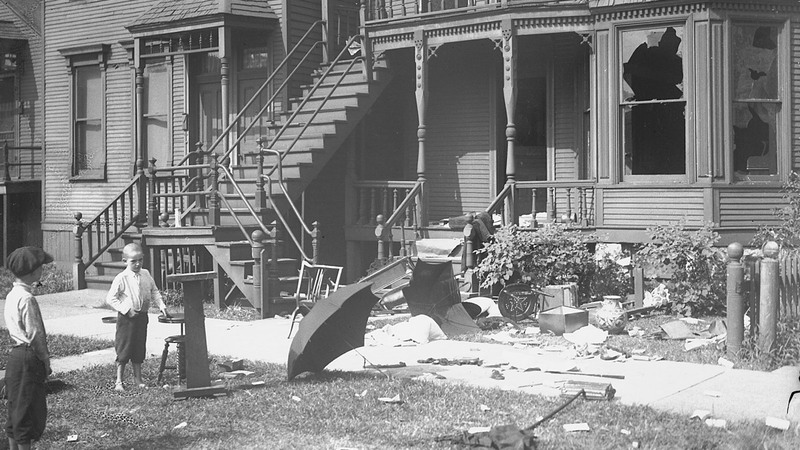 The Chicago Race Riot of 1919 began on a hot July day and thought to be the worst of around 25 riots during the so-called 'Red Summer'. 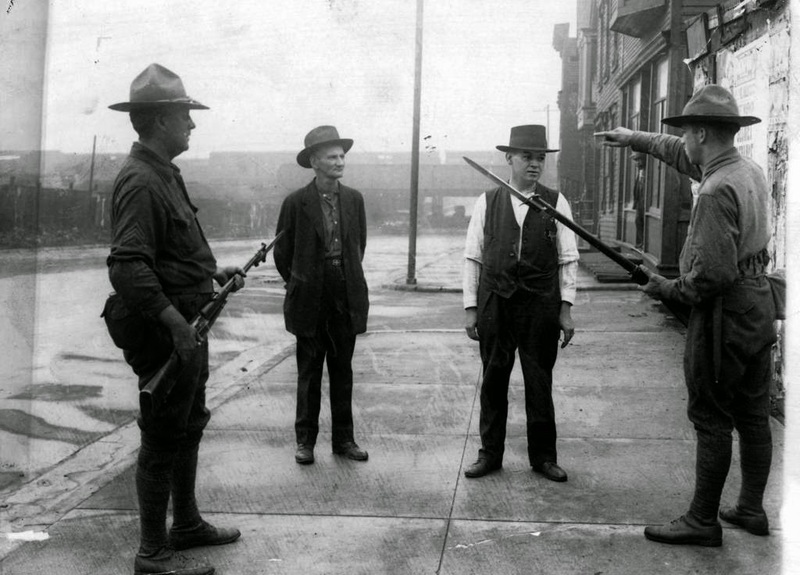 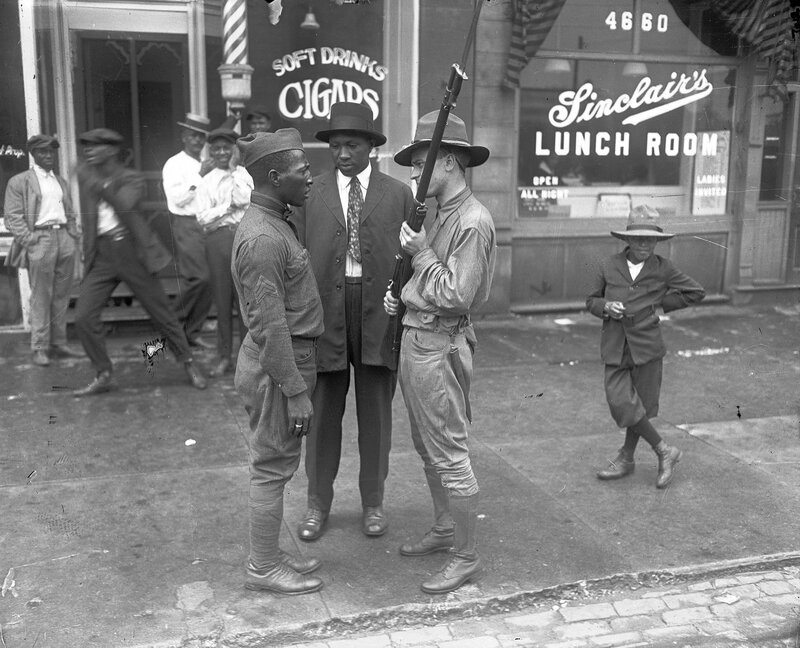 A member of the state militia faces off against an African-American veteran during the 1919 Chicago Race Riot. 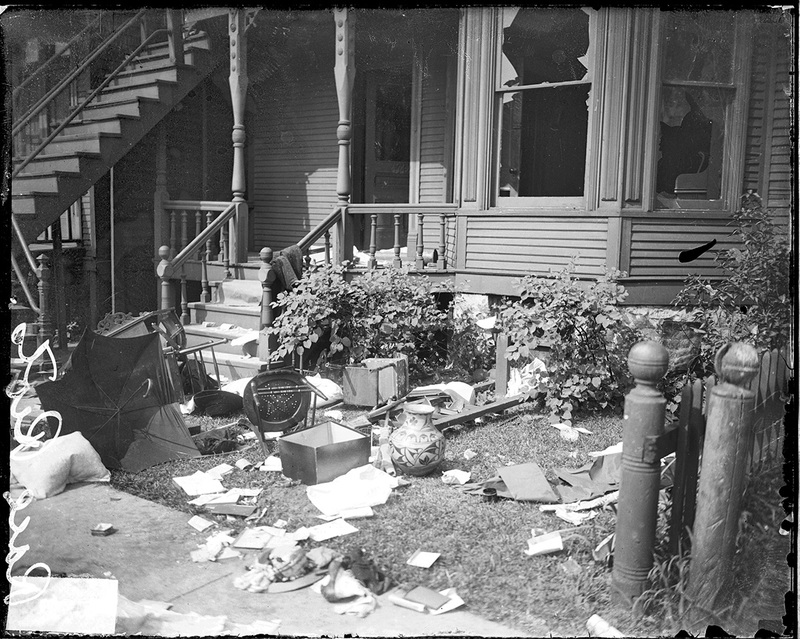 July 27, 1919. 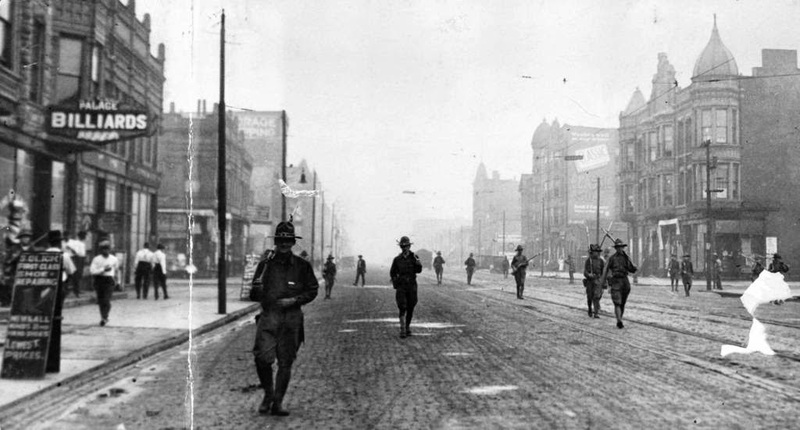 The Chicago Race Riot of 1919 began on a hot July day and thought to be the worst of around 25 riots during the so-called ‘Red Summer’. 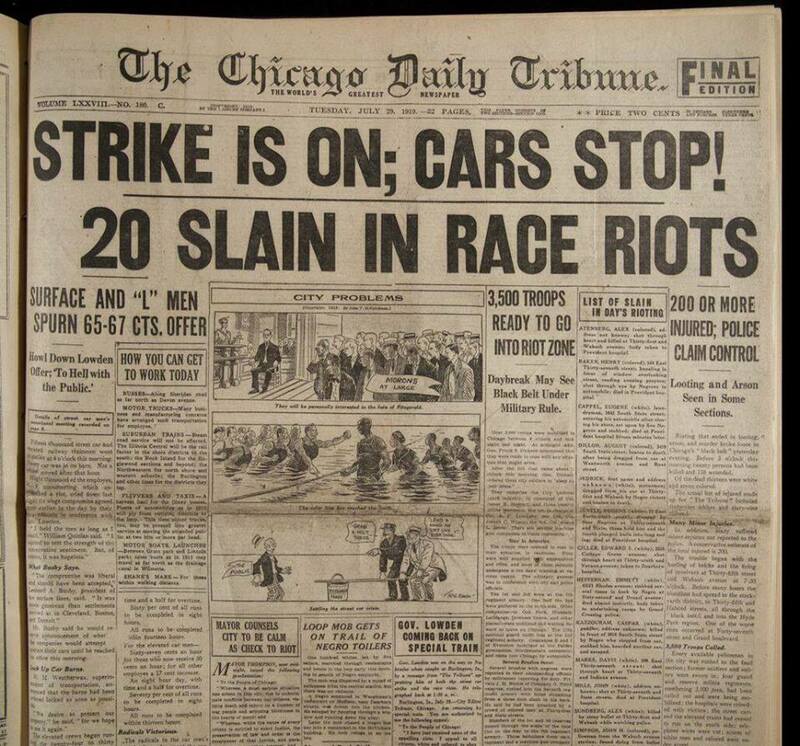 Some ninety years later the New York Times called it the worst race riot in the history of Illinois. 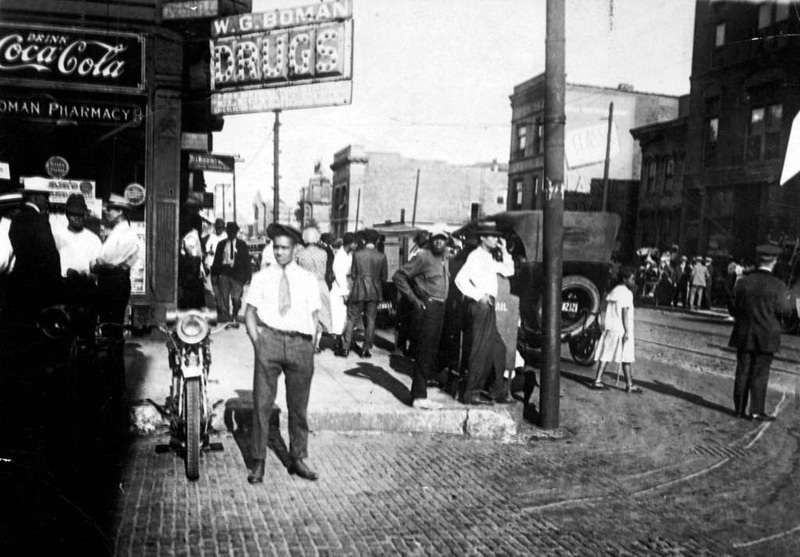 On July 27, 1919, an African-American teenager called Eugene Williams was swimming with friends in Lake Michigan when he crossed the unofficial race barrier between the ‘white’ and ‘black’ beaches. 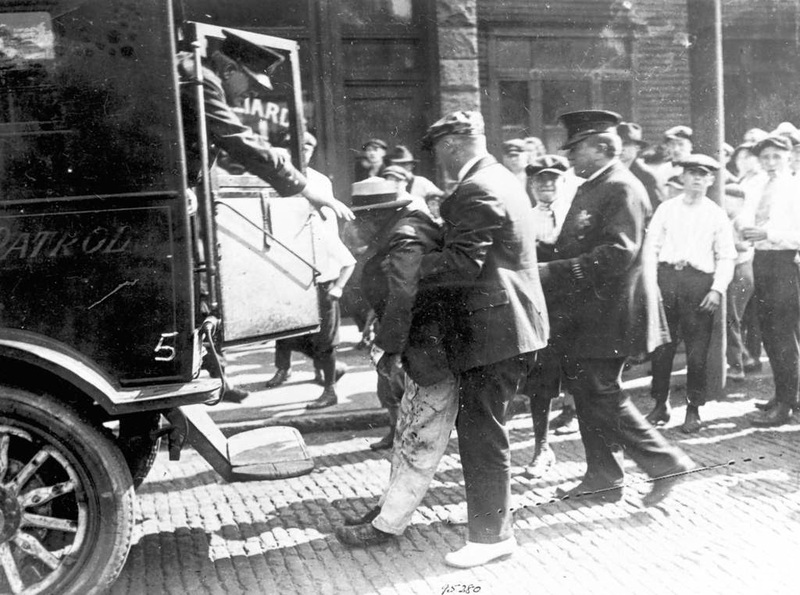 He was stoned to death by a group of white youths. 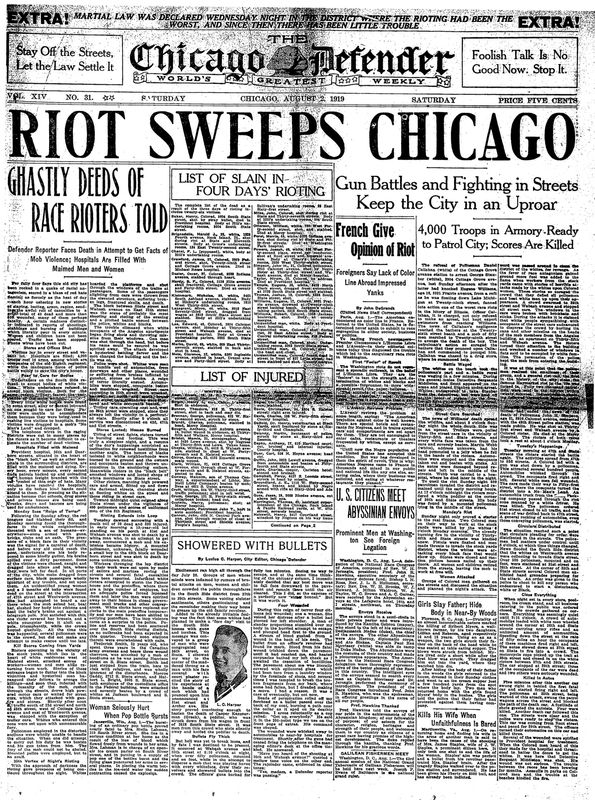 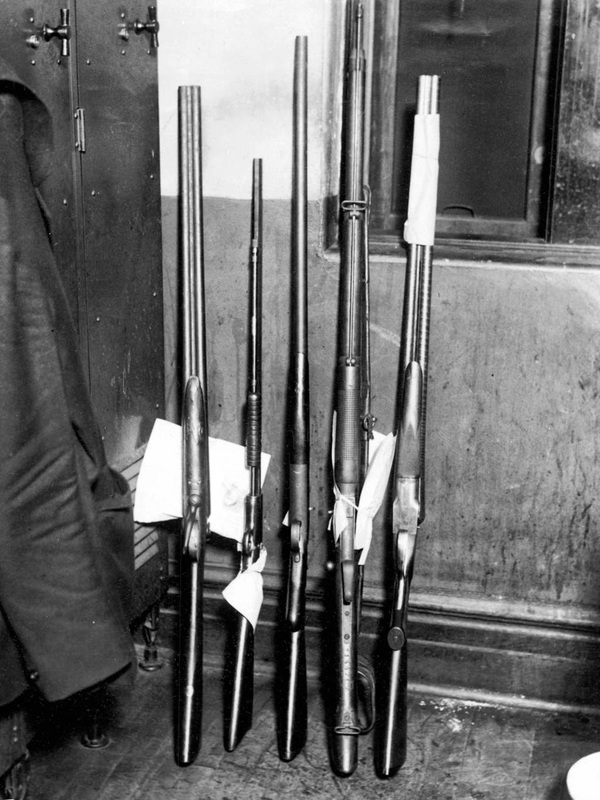 The murder, and the subsequent refusal by the police to arrest the the person initially responsible began a week of rioting between black and white Chicago residents. 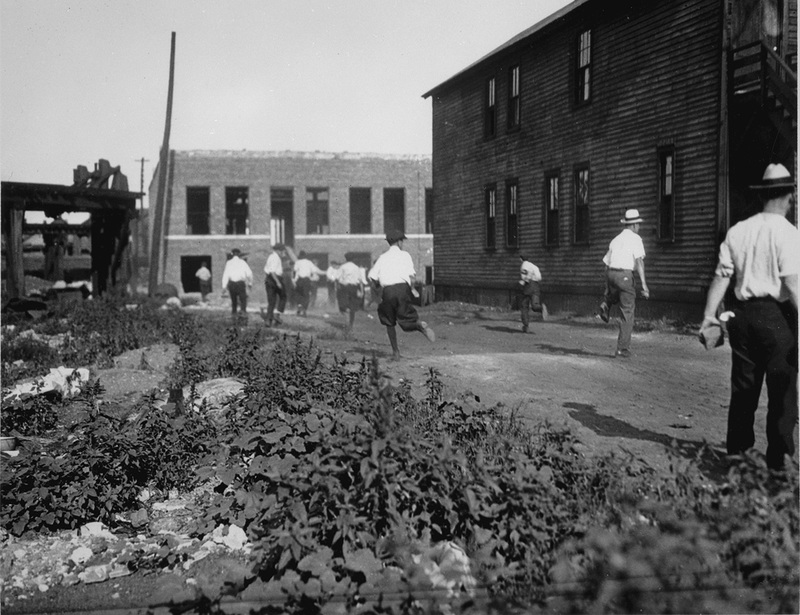 When the riot ended on August 3, 23 African-Americans had died along with 15 whites and more than 500 injured. 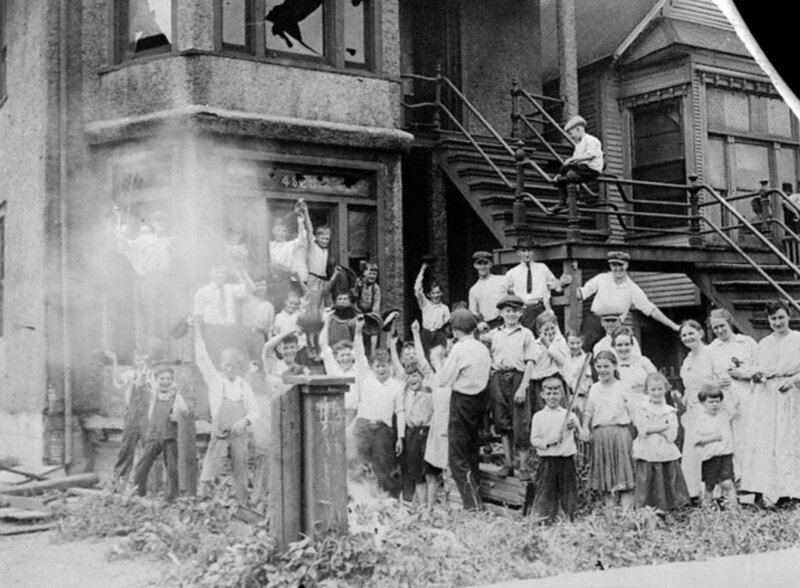 Over 1000 black families lost their homes after being set alight by the rioters. 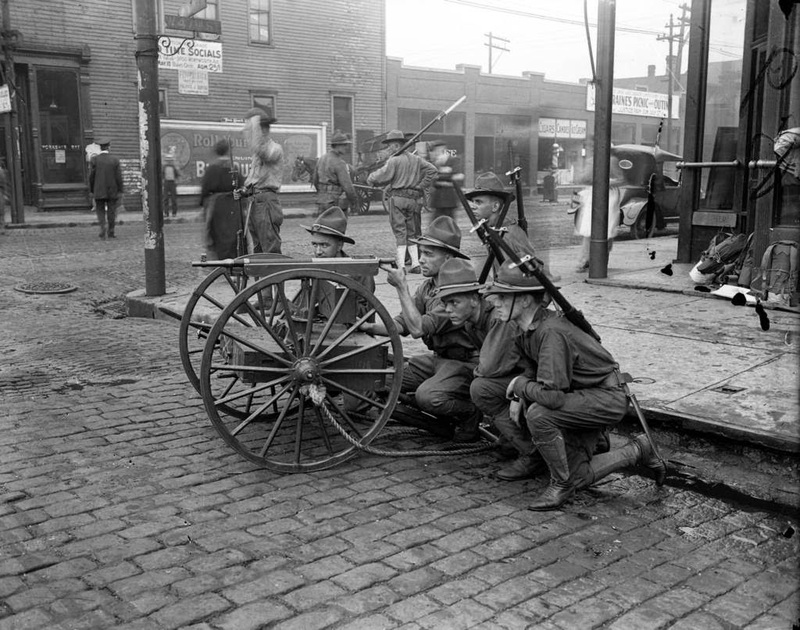 During World War One, essentially being fought on the other side of the Atlantic, there had begun a great migration of African Americas from the rural south to the cities of the North. 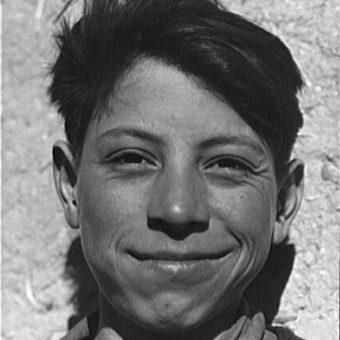 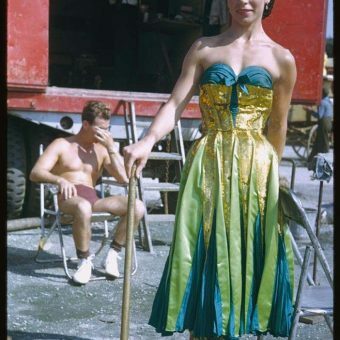 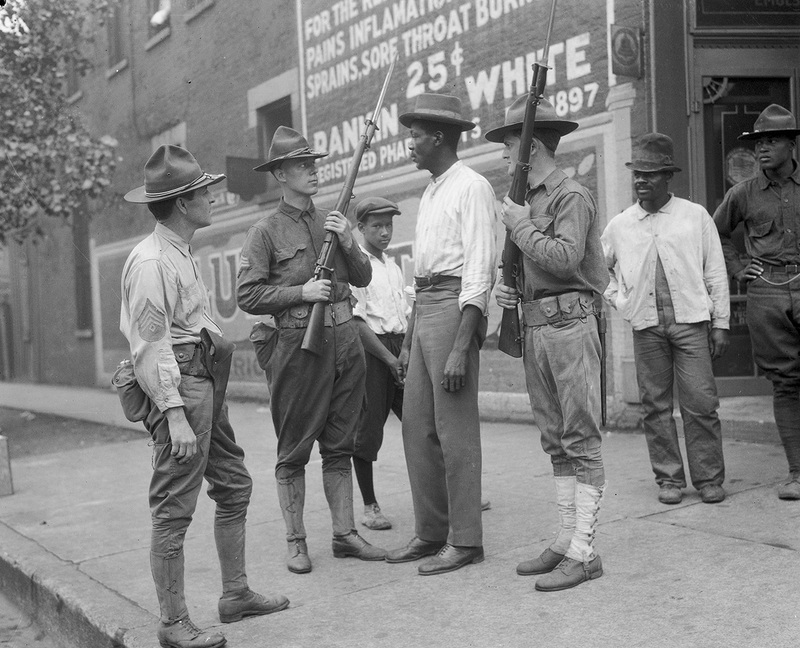 When the war came to an end thousands of servicemen, back and white, found their jobs had been taken by Southern blacks and other immigrants. 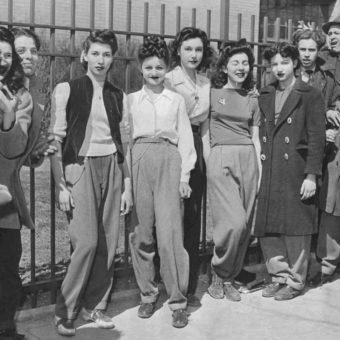 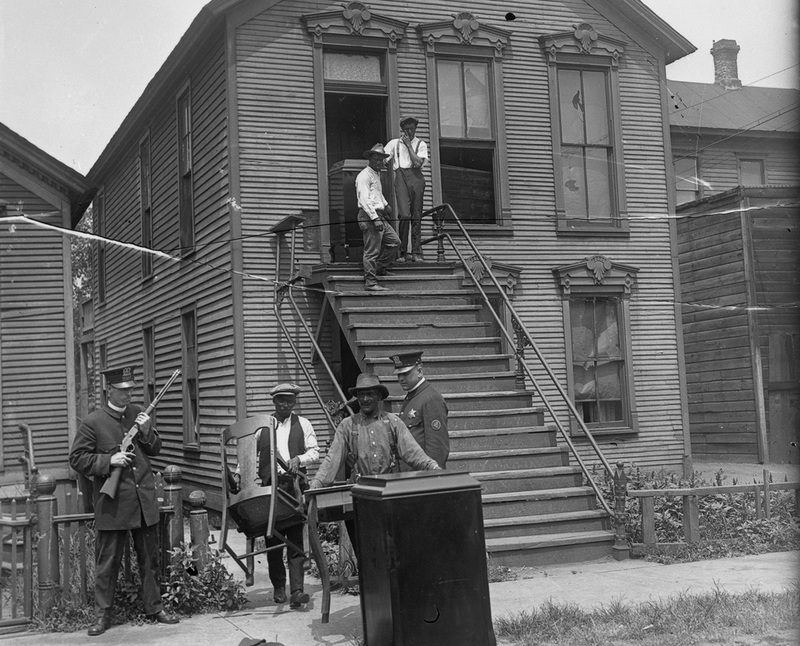 According to the History website the African-American population in Chicago alone had increased in ten years from 44,000 in 1909 to more than 100,000 in 1919. 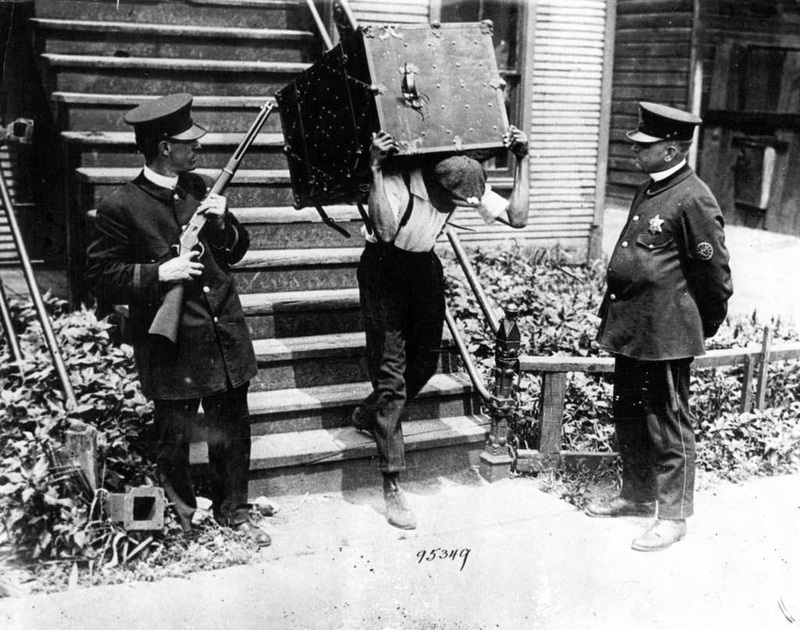 This only exacerbated the already simmering racial tensions related to policing, migration, and housing. 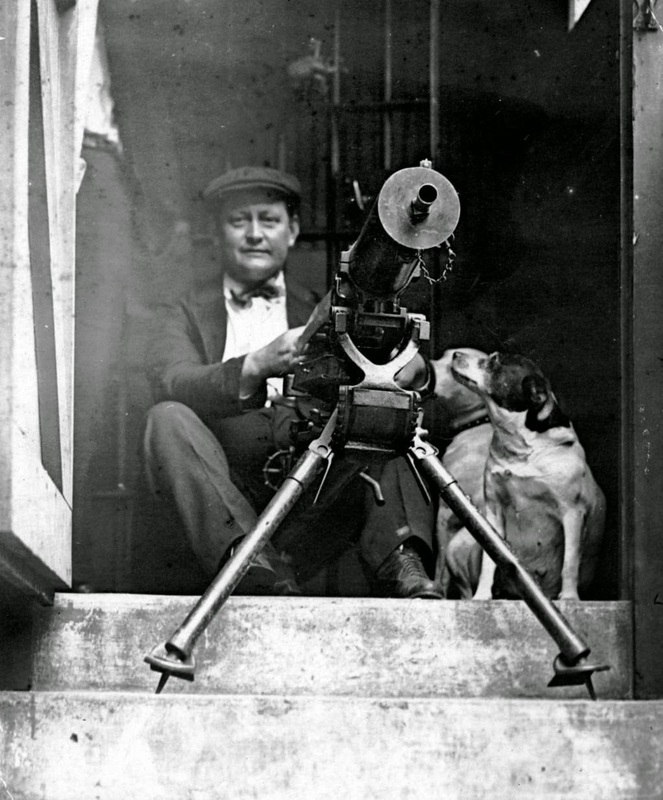 Everything came to a head in 1919. 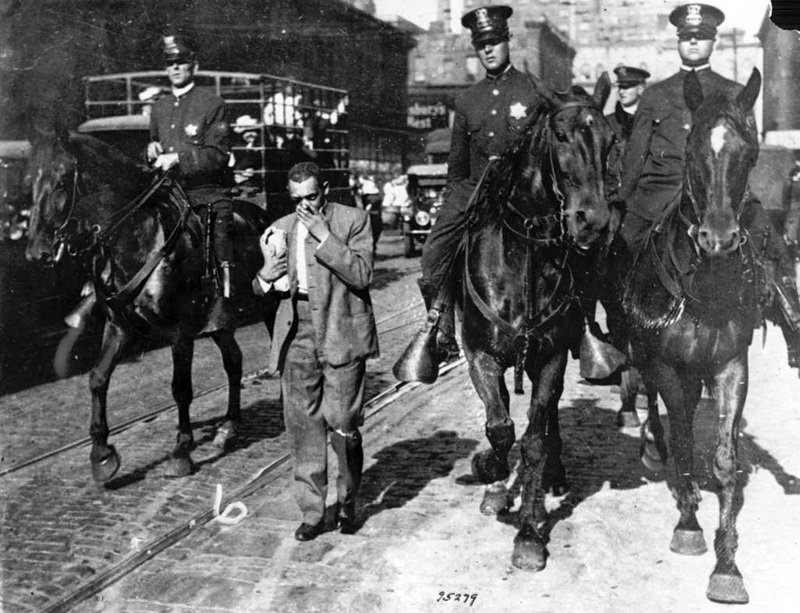 The state run militia patrols the streets of Chicago during the race riot of 1919. 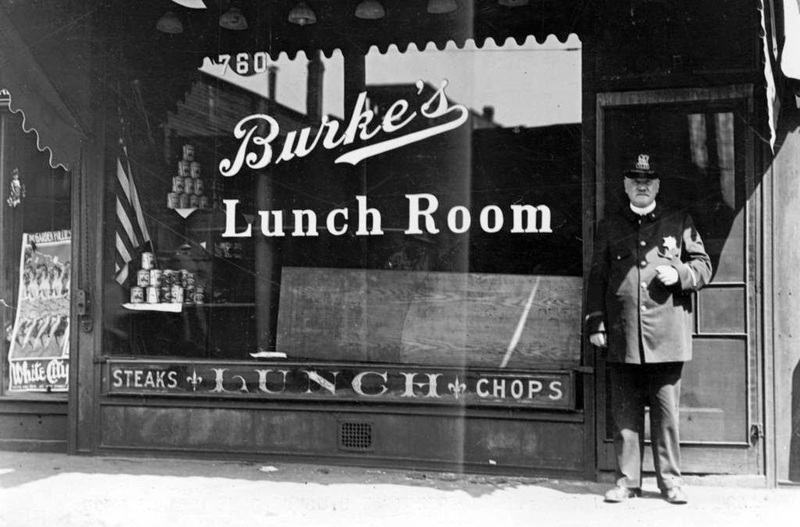 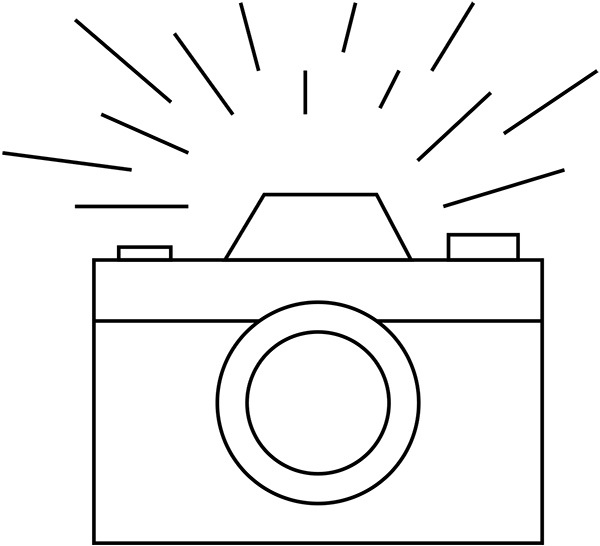 Photo dated Aug. 1, 1919. 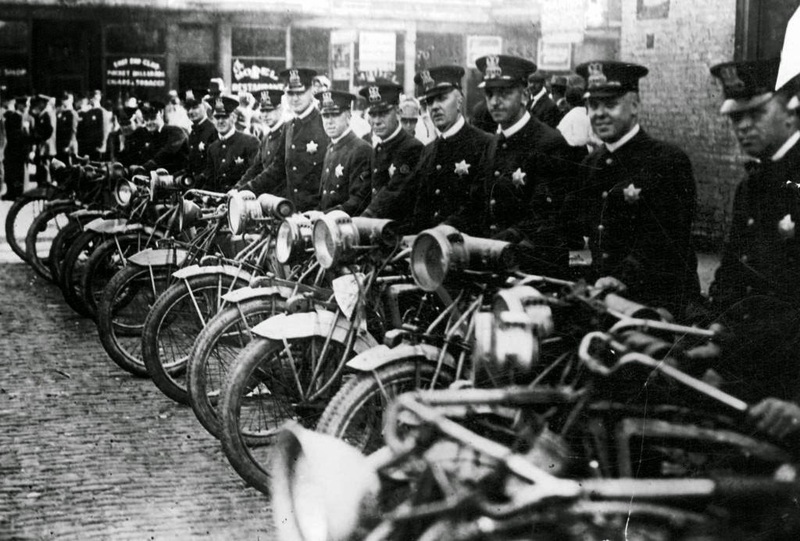 Heavily armed motorcycle and foot policemen stood at the ready for instant transportation to quell the rioting on Chicago’s south side on July 30, 1919. 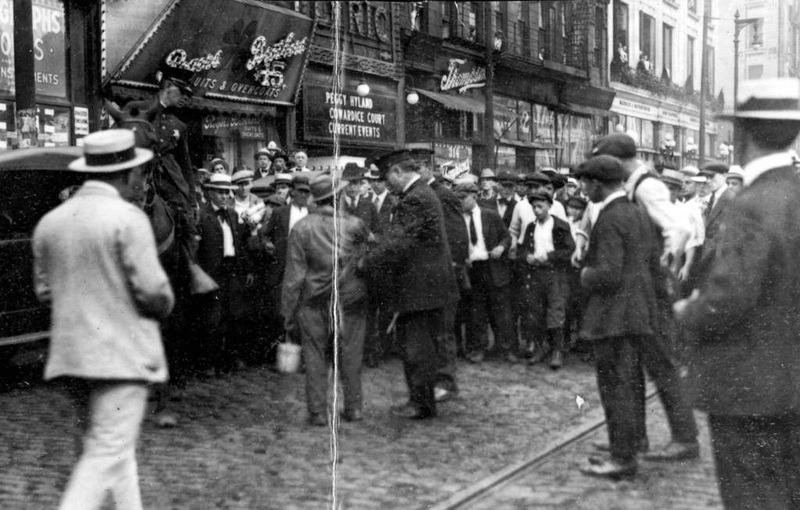 Chicago race riot of 1919. 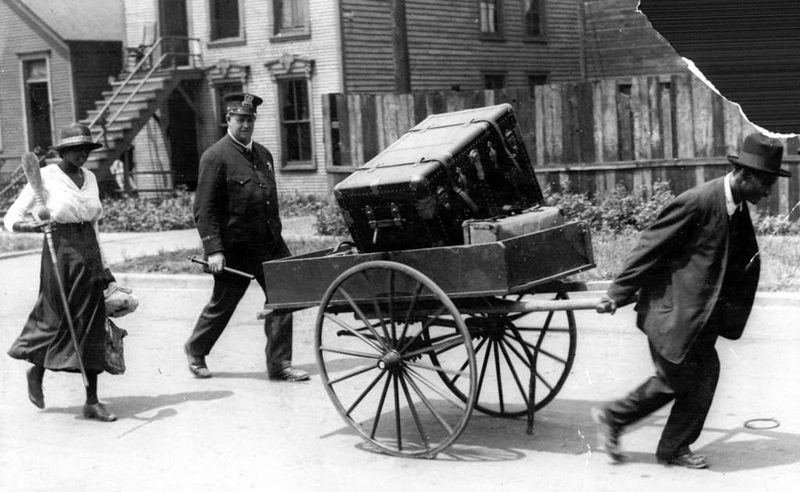 Black residents of the south side move their belongings with a hand-pulled truck to a safety zone under police protection during the Chicago race riots of 1919. 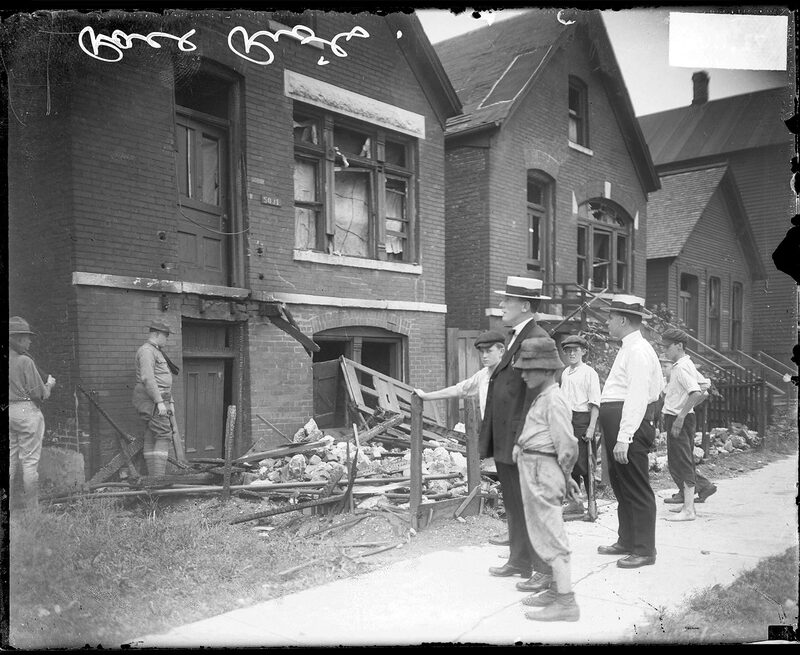 A group of white men and boys examine the destroyed homes of black Chicago residents after the city’s 1919 riot. 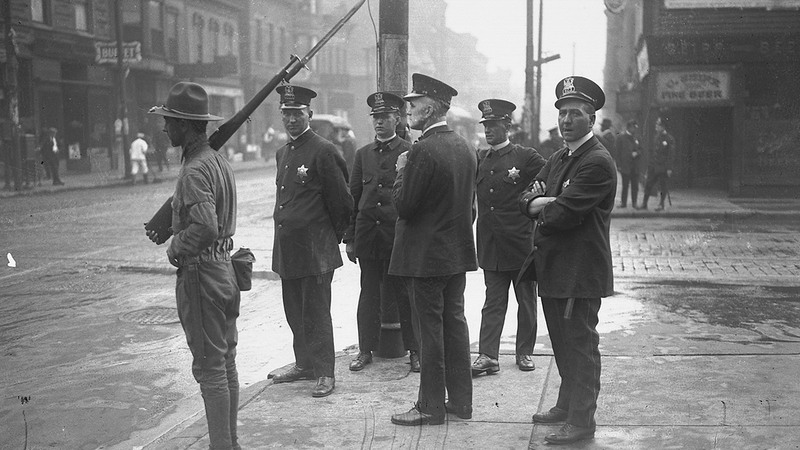 A soldier tells a man to back up during the race riots in Chicago in 1919. 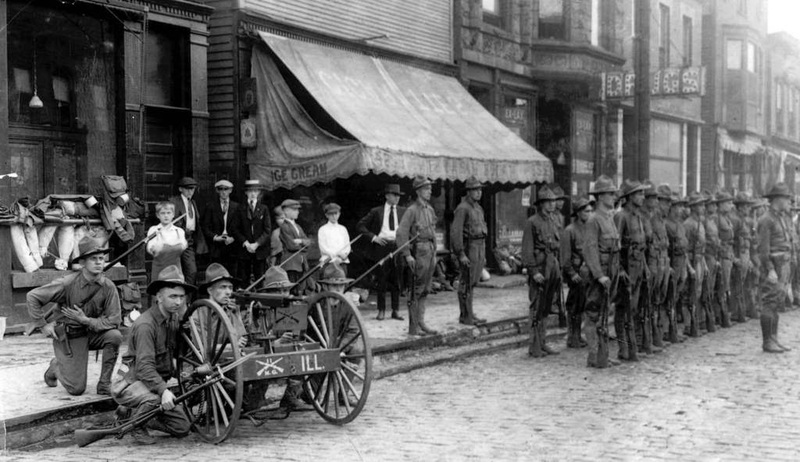 The soldiers were in place to keep white people in their own district. 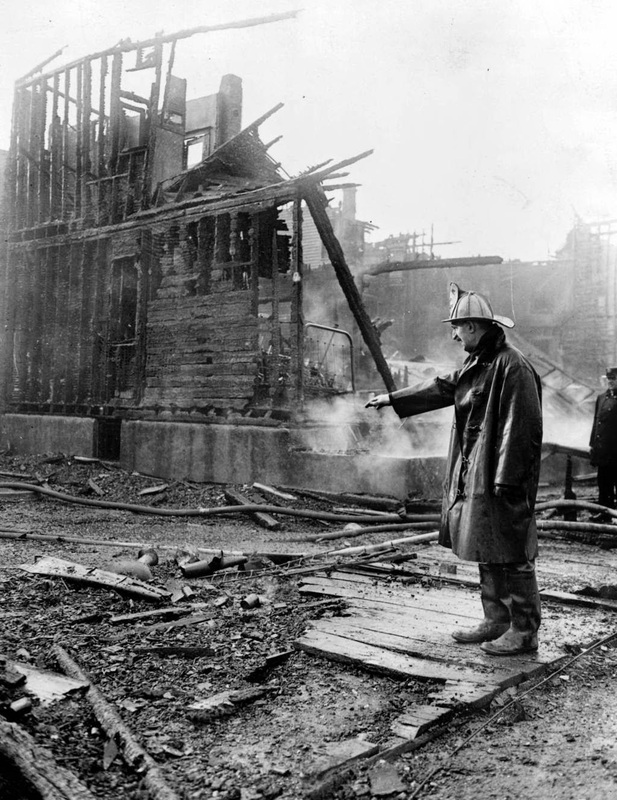 A firefighter looks over a burned out building during the Chicago race riots of 1919.